The College of Optometrists is encouraging people to become dementia-friendly as part of Dementia Awareness Week which takes place this week (14 – 20 May). Alzheimer’s Society runs the Dementia-Friends programme which is the biggest ever initiative to change people’s perceptions of dementia. It aims to transform the way the nation thinks, acts and talks about the condition. People interested in becoming a Dementia Friend can either take a free online course, which takes about 25 minutes to complete, or attend a face-to-face information session to gain an insight into what it feels like to be affected by dementia. College Clinical Adviser Daniel Hardiman-McCartney MCOptom and Dementia Friend said: “Anyone can complete the course; so useful I have encouraged the rest of the team whom I work with in practice to have a look, and those who have feel much more confident in helping those affected. Daniel has written a blog about his experience as a Dementia-Friend and members of the College can visit the College’s Dementia Learning page for top tips for an eye examination, videos and further reading on the condition. The College’s recent research on the topic of dementia and visual impairment (VI) found that the prevalence of VI in those with dementia is generally higher than for the overall population, indicating that the lives of many people with dementia could be improved by regular sight tests and taking appropriate action. 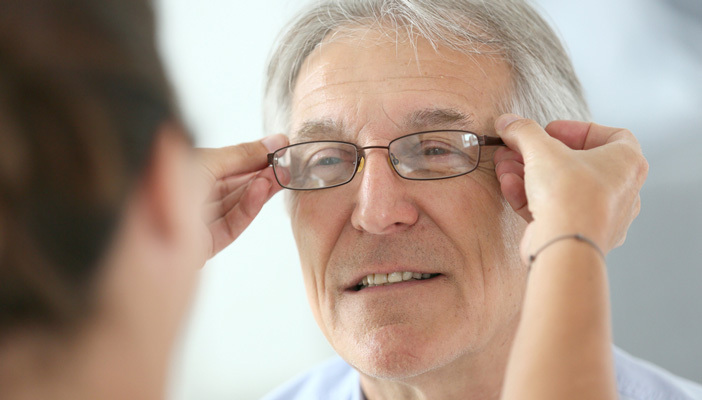 The research, entitled the Prevalence of Visual Impairment in People with Dementia (PrOVIDe), showed that almost 50 per cent of those living with dementia and VI were no longer classified as visually impaired when wearing their up-to-date spectacle prescription. The College is now working with the Dementia Research Centre Team at UCL to explore which vision tests work best for people living with dementia. How can an eye test help someone with dementia?